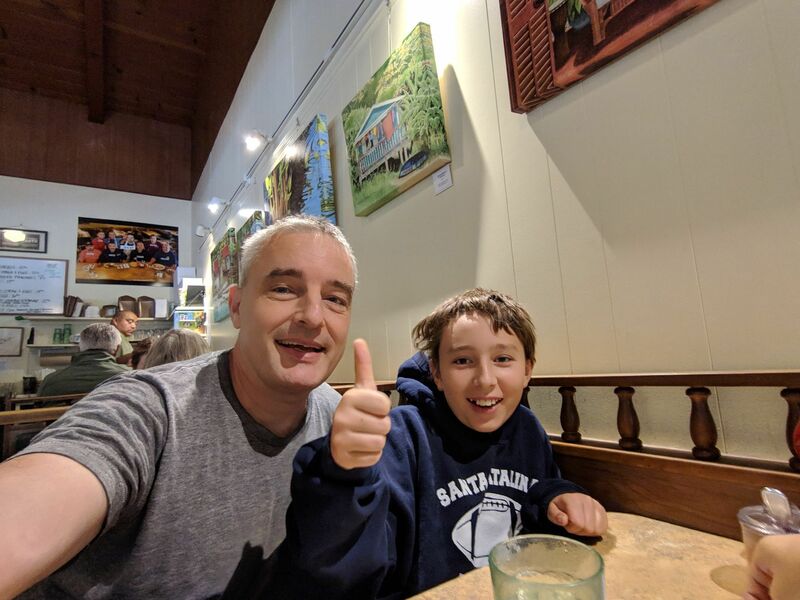 We voted as a family in the midterm elections. 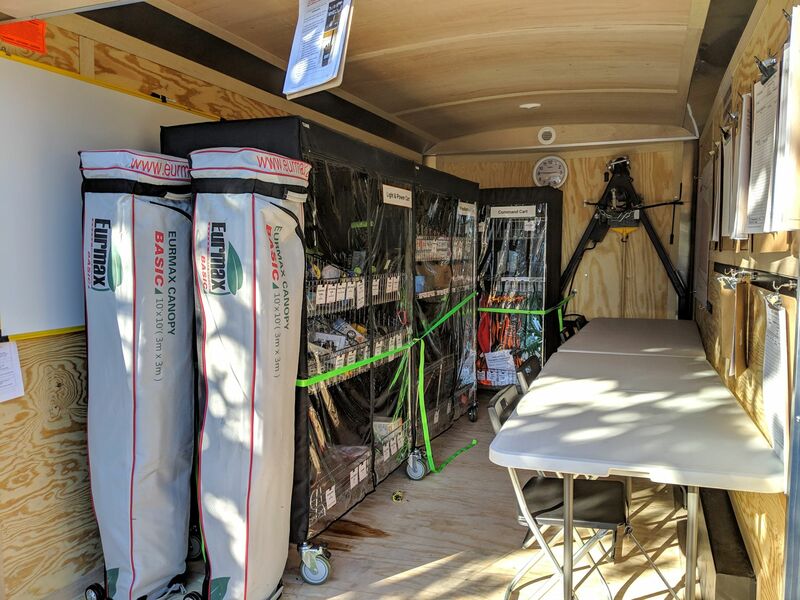 I learned about Google emergency preparedness trailers. Casper's soccer season ended in smoke. Bart & Tatyanna visited an optometrist to measure their eyesight. The NKBV ends travel insurance for overseas members next year. Voted in the first midterm elections since Agent Orange's election. We headed over to the nearest polling place to drop our mail in ballots off. I'm proud to be a part of the Blue Wave that gave Democrats the majority in the House. 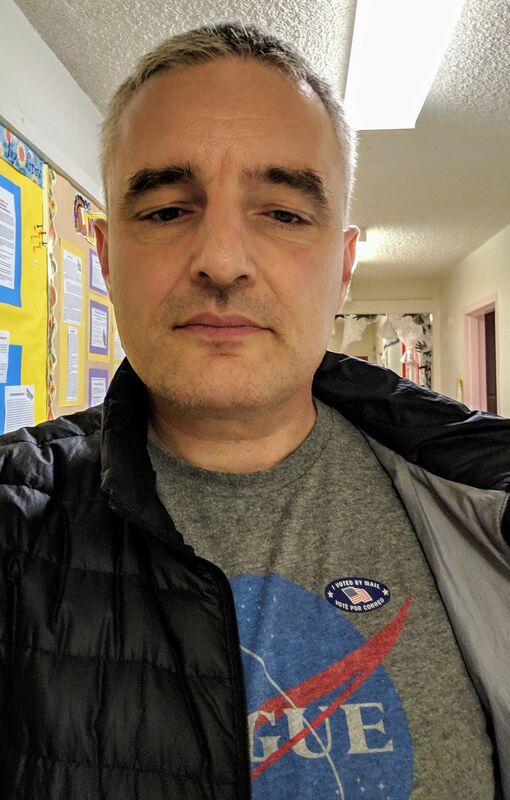 I voted in the 2018 mid-term elections. In case of an emergency, such as an earthquake, Google counts on volunteer employees to provide first aid and triage the wounded. The campuses in Mountain View and Sunnyvale are so large that Google Security can't handle a widespread calamity alone. 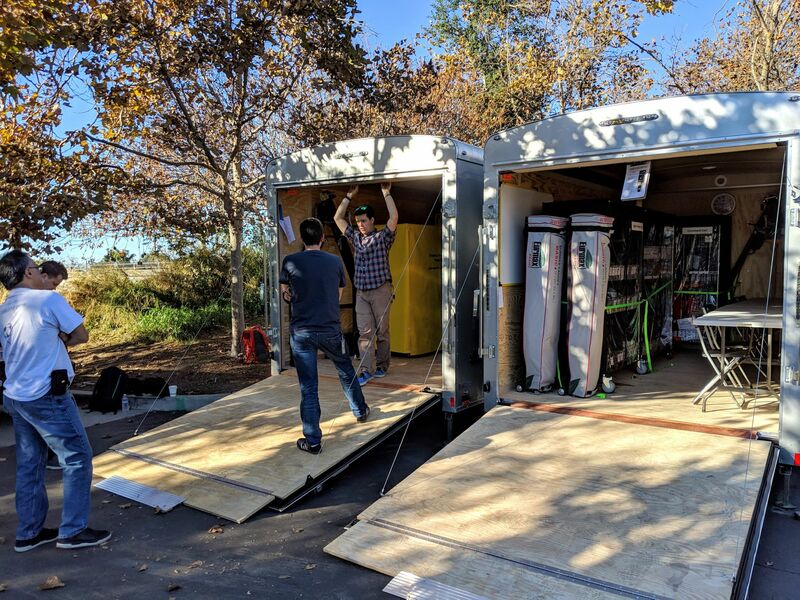 There are 2 trailers with emergency supplies for every cluster of buildings. An earthquake will probably damage buildings but the trailers in a safe zone in the parking lot should remain accessible. 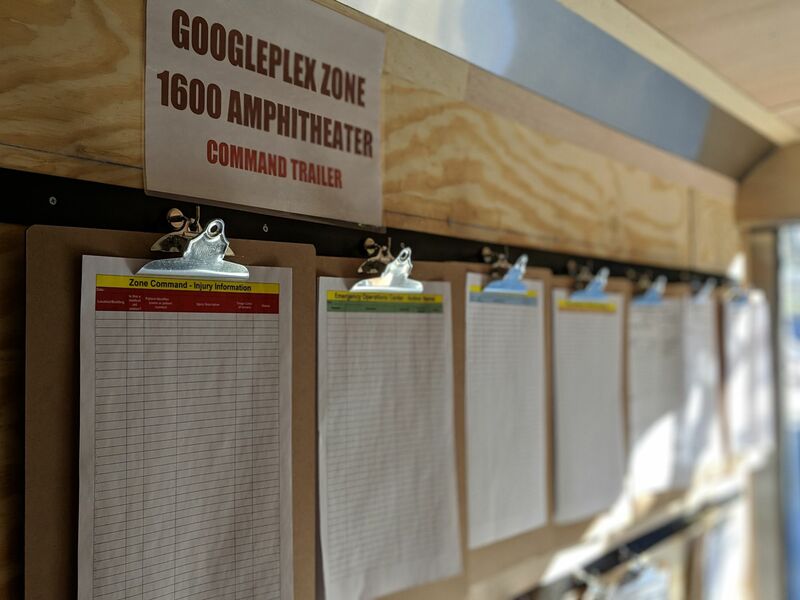 Google's local Emergency Response Command Centers are trailers scattered across campus. Trained volunteers can open the trailers and set up a local command post and triage station. Radios in the trailer connect the command post to Google Security for wider coordination. A generator provides power. And there are sufficient medical supplies to provide aid to tens of people. 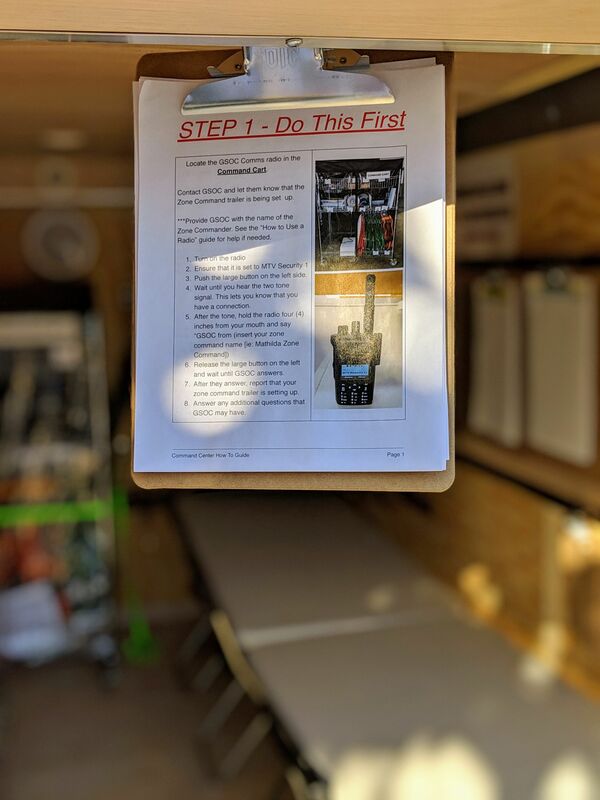 This week, Adam Chromik familiarized a handful of volunteers with the trailers and their contents. Let's hope we'll never have to use them. Tatyanna and I have been thinking about getting glasses. Tatyanna already has some cheap reading glasses, but we never had our eyes tested. With the end of the year near, it was time to act if we wanted to take advantage of our vision insurance. My left eye is somewhat far-sighted (+0.50) but my right eye is slightly near-sighted (-0.25). Tatyanna's eyes are both slightly near sighted (-0.25) and she has an astigmatism. We're now looking for progressive glasses that we can use for reading, computer work and driving. Basketball season started with try-outs for Casper at the Boys and Girls Club in Santa Cruz. The try-outs give coaches a chance to create balanced teams. The Dutch alpine club, NKBV announced it will end travel insurance for overseas members in 2019. I've been a member of the NKBV for almost 35 years. My family became members when we started hiking in the European Alps. I remained an individual member in college, became a climbing and mountaineering instructor and led many week long courses in Switzerland and Austria. Even after I moved to California. Without their travel insurance there is no reason to remain a member of the NKBV. I'll become a member of the German alpine club (DAV) instead. Their members have the same benefits in European alpine huts and they do offer cheap climbers insurance to overseas members. I'm sad to be leaving the NKBV after so many years. 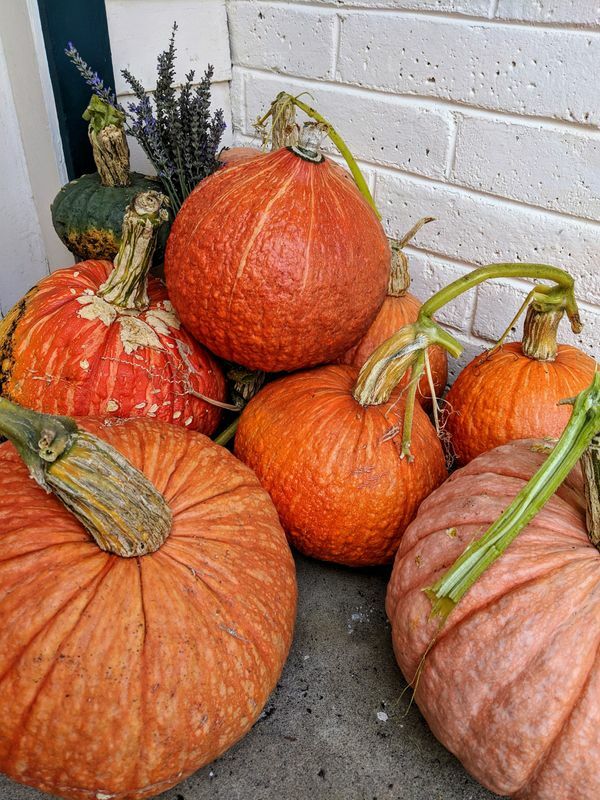 🐒 The Google campus has Halloween decoration everywhere. 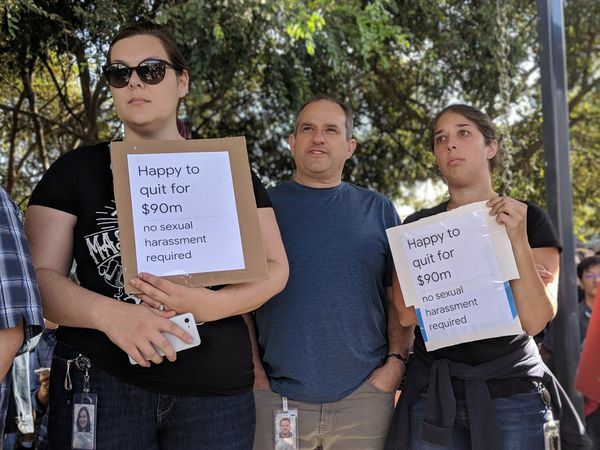 🔍 And still, thousands of Googlers like me hold a Google walkout for better equality. 🐦 At home, a baby duck is born. 🏗 I finish the bird guards for the shed's roof.